Car accidents can happen in a split-second, but have long-lasting consequences. Following the initial shock of impact, victims are often unsure of what to do after a crash. One of the first steps you should take is to contact an experienced South Florida car accident lawyer. Recovering the full amount of compensation you deserve can be difficult, but you shouldn’t have to fight the insurance company alone. A respected auto accident attorneys at Weinstein Legal are passionate about helping car accident victims who have experienced severe suffering due to the negligence of others. Caring and attentive, they will take the time to understand the details of your case and use this knowledge to fight for the damages you deserve. Contact us online now or call our Fort Lauderdale law firm at 954-845-0505 to schedule a free consultation. Negligence is the most common cause of an automobile accident not only in Florida, but nationwide. Generally speaking, a licensed driver is responsible for driving with reasonable care. This means they are responsible for driving safely, obeying traffic laws, and respecting the rights of other drivers. This responsibility is referred to as the “duty of reasonable care” by law. A driver can be found as negligent if they breach their duty of reasonable care when operating their vehicle. This means that the driver failed to act in the way in which a reasonable driver would have in the same or similar scenario. This could be something the driver failed to do, such as failing to yield or stop for a pedestrian; or something the driver did that they should not have done, such as speeding. Unfortunately, a negligent driver can and usually does cause harm or injury to another person. With over 15 million licensed drivers on Florida roads, it can seem like auto accidents are inevitable at times. But as an accident victim, it is very apparent to you that plenty of accidents could have been avoided had all drivers properly handled their vehicle and respected others on the road. At Weinstein Legal, we’re aware that even the safest drivers can be involved in accidents with negligent individuals, and suffer harm as a consequence. Likewise, automotive dealers and manufacturers can fail to uphold safety standards for drivers, resulting in motorists being harmed. From using a cell phone or applying makeup to eating while driving, a variety of distractions can lead to deadly accidents. 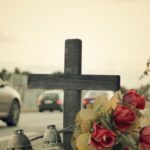 According to the Florida Highway Safety and Motor Vehicles department, the leading cause of fatal and injury crashes in Florida is careless driving, encompassing nearly 40% of injury accidents. Meanwhile, 17.32% of injury crashes were caused by drivers who failed to yield to the right of way, 2% were caused by speeding, and 1.81% were caused by individuals driving under the influence. However, in some cases, vehicular negligence has little to do with the driver’s behavior. Instead, poor weather such as heavy rain, missing or obstructed road signs, or defective vehicle parts may be to blame. Common examples of defective parts include faulty ignition switches, running boards, brakes, and aftermarket car parts. No matter the cause, if you were injured at the hands of another, contact a Fort Lauderdale accident attorney today. No matter the circumstance, any auto accident can result in life-threatening injuries. While certain auto accidents can be more deadly than others, all accidents have the potential to be both physically and mentally traumatic. Justin Weinstein and his team of Florida car accident attorneys have represented clients for a variety of accidents throughout the South Florida area. Certain car crashes, such as rear-end accidents, high speed collisions, and even accidents which occur at an intersection can involve multiple vehicles. Multi-car collisions can be incredibly frightening, as well as incredibly confusing. With multiple insurance policies involved, a victim could be unsure how to move forward seeking compensation for injuries. If you’ve been involved in an auto accident, no matter the type, contact a Florida accident attorney today. Even an auto accident that appears minor can cause injuries. Based on data from the Florida Department of Highway Safety & Motor Vehicles, more than 243,000 people were injured in car crashes in 2015 alone. The number of auto accidents that caused injuries grew by nearly 7% between 2014 and 2015. Car crash victims can experience years of physical and emotional suffering. Additionally, they are forced to deal with several financial stressors, including medical bills and loss of work due to physical injuries. In such cases, it is in the victim’s best interest to seek help from Fort Lauderdale car accident attorneys with a track record of success. There are two main types of damages victims of car wrecks may be entitled to, compensatory and punitive. Compensatory damages, also known as monetary damages, are the most common form of damages in a personal injury claim. Punitive damages are rare in auto accident cases, but may be available if the vehicle manufacturer is to blame. These types of damages are awarded to punish the at-fault party for outrageous negligence or illegal activities that led to the crash. Under Florida Law, auto accident victims have four years from the date of the accident to file a personal injury claim. If you believe you may be entitled to file a claim, time is of the essence. Contact South Florida car accident lawyer Justin Weinstein to schedule a consultation and discuss the details of your claim. Contact us online now or call 954-845-0505. 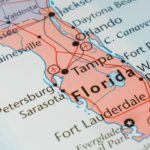 Florida is a no-fault state, which means that drivers must have a minimum of $10,000 in personal injury protection (PIP) insurance. PIP requirements allow victims to recover compensation for their medical bills and lost wages after an accident no matter who is at fault for the collision. PIP coverage will only pay 60% of all lost wages, as well as 80% of any medical bills up until $10,000. Furthermore, those medical bills and lost wages will come out of the same pool of money. PIP insurance coverage follows the person, meaning if you are involved in an accident in someone else’s car, your personal insurance is still the PIP coverage that would be used, not the owner of the vehicle you were in. There are situations in which an injured person in an accident doesn’t have insurance and therefore, PIP coverage has to come from someone else’s policy. Unfortunately, this is why the insurance claims process can be tricky and a knowledgeable car accident attorney can help. Additionally, it is not uncommon for victims of auto accidents to have further damages left uncompensated following their PIP coverage. With insurance companies sometimes diminishing the worth of your claim, and attempting to pay you or other victims as little as possible, if you plan on filing a suit to obtain the rest of your damages, you shouldn’t take on the insurance company alone. Justin Weinstein is an experienced Personal Injury Protection claims attorney and can help you get the maximum amount of compensation you are owed under your insurance. 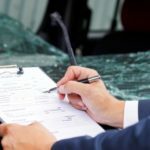 WHY RETAIN AN ACCIDENT ATTORNEY? Accidents are deeply traumatic events. Aside from the physical pain you’ve sustained, you now must battle with the insurance company. With medical bills beginning to pile up, time lost from work, and the stress of it all weighing on your shoulders, you cannot be reasonably expected to handle your case to start to finish alone. But, it’s not just the mental toll of a case that a trusted personal injury lawyer can relieve. While your PIP benefits will cover up to your first $10,000 in damages, it will only compensate 60% of lost wages and 80% of medical bills. If you’ve sustained serious injuries, you know that coverage will not make enough of a dent in your past and future medical bills, time missed from work, and pain and suffering. A personal injury attorney will be able to help you to calculate a monetary amount for your damages to bring to the insurance company. More often than not, the insurance company will put their own interests first, offering you minimal compensation or even moving to dismiss your case based on their findings. A trusted auto accident attorney can anticipate arguments and tactics used by the insurance company, and can use their extensive background in personal injury litigation to provide your case with a strong argument. A personal injury attorney will work day and night to protect your right to fair compensation. WHAT IS THE ROLE OF AN AUTO ACCIDENT ATTORNEY IN YOUR CASE? Personal injury cases hinge on the details. From the moment an insurance company has been alerted to an accident, they will launch their own investigation into your crash, thoroughly analyzing every detail. They will often call a victim to question them, or offer a victim a solution that only has the insurance company’s interests in mind. One of the first roles of an auto accident attorney in Florida is to act as your mouthpiece in conversations with auto insurance companies, ensuring that what you say cannot be used against you. 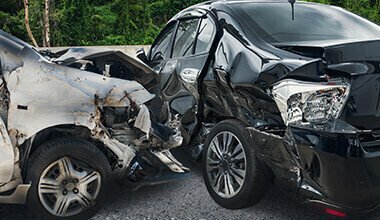 Auto accident attorneys launch their own investigation into your accident, communicating directly with insurance companies and seeking out evidence including witness statements, photographs, and expert opinions. Preparing for an auto accident almost seems like an oxymoron – preparing for something that can appear when you least expect it seems close to impossible. However, in the case of an auto accident, the best defense is a good offense. Therefore, there are certain items you’ll want to include in your vehicle while driving. Of course, your driver’s license and auto insurance information should be in your possession at all times while in your vehicle. Aside from physical objects, the best way to prevent an accident is to always try to keep a level head while driving. If you feel yourself getting anxious or angry, find a safe area to pull over and take a breath, or opt to change routes to a less congested road. Attempt to drive on well-lit streets when possible, and be sure to routinely replace key auto accessories, such as windshield wiper blades and tires. Justin Weinstein and the team at Weinstein Legal have one goal – to protect your right to fair compensation. While accidents can occur in a split second, the resulting injuries can last a lifetime. Our team is here to listen to the details of your case, provide you with guidance, and fight for the compensation you deserve. All too often we’ve seen insurance companies offering auto accident victims far less than they deserve. That’s why we won’t settle until we know you’re receiving a fair amount of compensation for your injuries, lost wages, and pain and suffering. If you or a loved one has fallen victim to somebody else’s negligence behind the wheel, it is imperative that you get in touch with an auto accident attorney as soon as possible. The right car accident lawyer can guide you through the entirety of the personal injury process. Consider working with the attorneys at Weinstein Legal, who will work hard to secure the damages you need during this difficult time. Weinstein Legal’s personal injury lawyers understand that car accidents can happen at any time and anywhere, which is why we are always available to take your call. We take cases throughout South Florida and the Treasure Coast through our Fort Lauderdale office.